Save AED 0 (0%) Earn 324 Shukrans What is Shukran? Shukran is the Landmark Group’s award-winning loyalty programme in the Middle East, which allows you to earn Shukrans when you shop any of our brands. Give your living space a new definition by getting this sofabed. 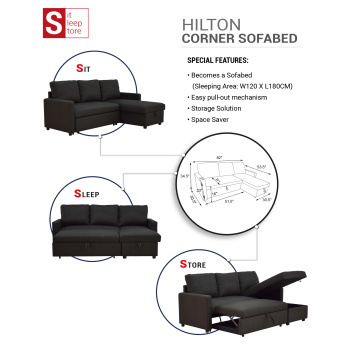 It offers extra space as it is a corner sofabed and also provides storage. Made from a durable material, it is sure to last for a long time.